A) This organizer is always stuffed to the max. I have categories for everything: makeup, soap/shampoo, cleaning products, cereal etc. B) This organizer houses my coupons for each store. I also have a section for hot coupons and soon to expire, as well as a section where I throw any coupons I've found in a shopping trip (blinkies etc.) This organizer is wider so I can often fit longer coupons without cutting or folding. (Originally I had envelopes for each store but they were constantly falling out in my bag or ripping and I'd have to replace them.) I generally keep a list and/or post its with the week's deals in each section. How do you organize your coupons? 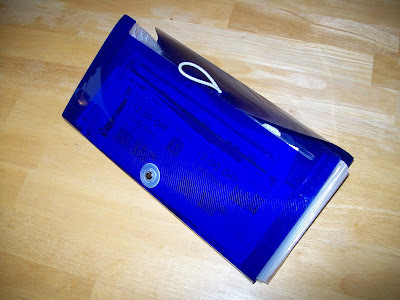 Do you keep whole inserts or cut them and keep them binder style? Can't wait to see what you're trying now. I mix it up. Usually I try to cut the inserts on that Sunday. If I raid the recycling bin and find whole inserts (you would be amazed!!) I separate into SS or RP and sort them into a file for each. I clip ALL of them and file them in my binder. It's really time consuming but I love having all my Qs at my disposal when I'm out and about. 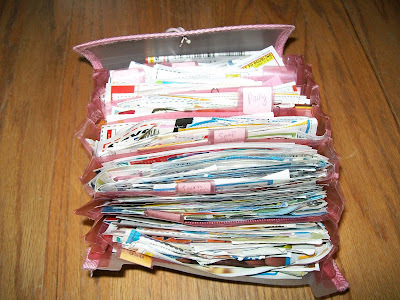 I'm a couponing newbie so maybe when my coupons no longer fit inside my binder, I'll switch to a insert filing system. Ok, I am confused. 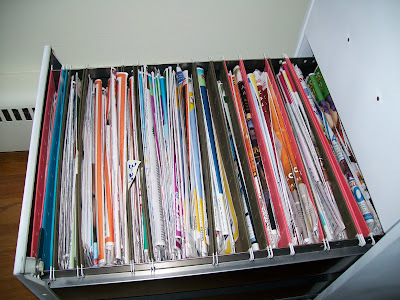 Why would you need a storage system for cut coupons and weekly circulars? I have been using coupons for years. Usually by cutting them out of the circulars and put them into a index card plastic holder, with the labels of the types of coupons. I am now following the blogs and printing coupons also. I believe you're asking why I need to have two systems - one for cut coupons and one for inserts? Some weeks I will end up with 6+ inserts, and I don't always feel the need to cut all of the coupons- so I file them until I need them. HTH!